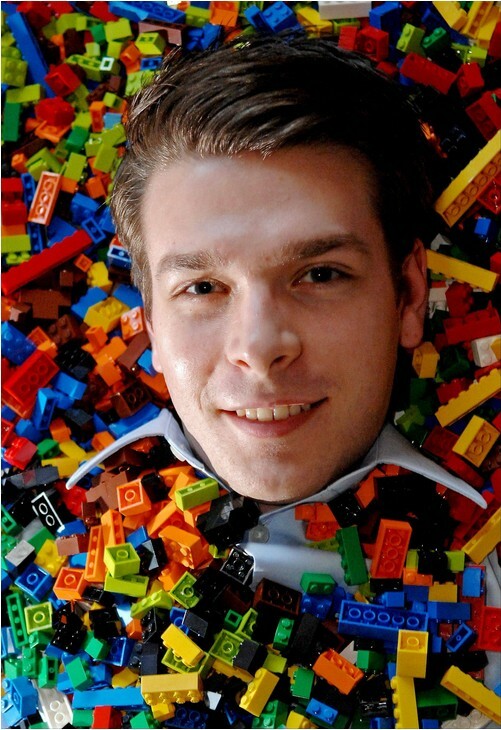 As Andrew Johnson prepares to graduate from DePaul, he has already landed his dream job: building with Legos for a living. Johnson, a native of Bartlett, Ill., was named the new master model builder for Schaumburg’s Legoland Discovery Center Chicago after winning a build-off competition earlier this year. At 23 years old, he is the youngest person to hold the position in the United States. Only four positions exist in the U.S. and eight in the world. “Even when you have the same bricks as the person sitting next to you, you can still create something completely different,” Johnson says. Johnson’s creative streak drove him to apply for the master model builder job, which he learned about only a day before the deadline through an ad in the local newspaper. “The ad said the last builder had left and they were looking for a new one,” says Johnson, who quickly submitted his resume and a one-minute YouTube video. A week later, he discovered he was one of eight finalists who would compete in a public build-off. The competition in early March involved three timed rounds, each with its own theme, where the contestants were judged on the most creative model. The theme for the first round was “All Things Chicago,” and Johnson built a replica of the Picasso sculpture outside Daley Plaza. In the second round he made the Lorax, based off the Dr. Seuss character. The last round was a music theme, where Johnson spent 45 minutes building a violin but still had some time on his hands. In his new job, Johnson will maintain and rebuild large Lego models on display at the Legoland Discovery Center Chicago, located in the Streets of Woodfield shopping mall in Schaumburg. The master model builder position will give Johnson a chance to showcase skills he has been honing for years. He worked four summers as an instructor at GreenApple Campus, a nonprofit camp that encourages kids’ interests in architecture and engineering. On top of building Legos with kids at the camp, he also developed a digital media program there, where he taught the basics on creating storyboards and screenplays. At the Legoland Discovery Center Chicago, Johnson will continue to pass his creative skills along to children, helping to run mini master builder workshops where anyone can participate. “I design Lego sets to build and then teach them how to build them from scratch,” explains Johnson. You are currently browsing the DePaul Advancement News blog archives for April, 2012.